It's all about books today. The first photo art was created with PhotoFunia. Both photos are great but I especially like the top one. We love both photos, really pretty! Congratulations on the release of your new book, Marie, that is fantastic! That is a really cool book effect! Concatulations to your human on her new book! Looks beautiful but I didn't know that you are that old :) ! Thank you. If you could do a review that would be fantastic! Thank you. We look forward to the Selfies Blog Hop tomorrow. We already have ours planned! Thank you. Yes, the first one is pretty amazing. Ha ha. Yes, It's me in my past life! ConCATulations to your new book! We can't wait to read your mom's book, now that it has your paw of approval. Very pretty. I will have to check out your Mom's new book. I love the theme you chose today. 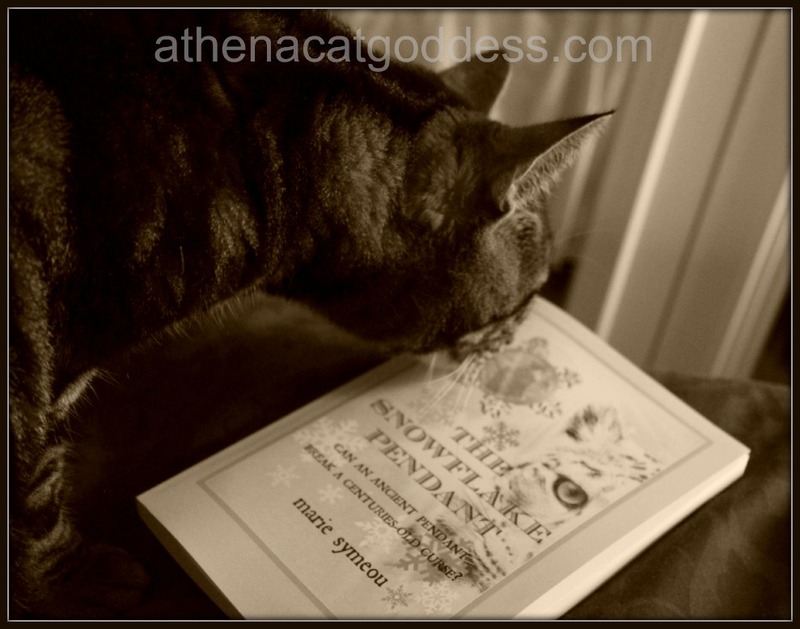 What a terrific graphic of Athena inside the book! I think she is proud of your book too! I love both of those effects! Concats on the book and I hope it does well. Those are really great! We'll have to check out your Mom's book too! 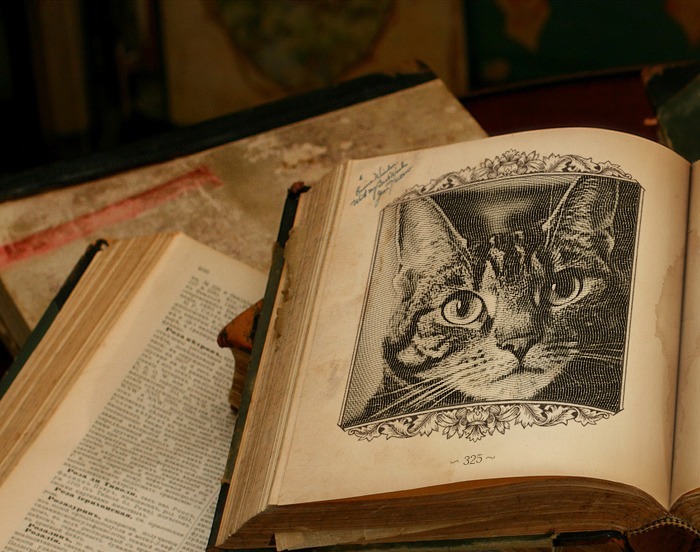 Thank you for linking up to Feline Art Friday.